Although me and my husband have only been married for 7 months we have known each other for nearly 10 years, and been together for coming up to 9 of those. It all started when I was at school and was fortunate enough to have the opportunity to go on an expedition with World Challenge. I spent just over 2 years saving up money, training and preparing for a month in Malawi and Zambia in Africa. In July 2003 myself and 16 others embark on an expedition (without wanting to sound cheesy, but not managing it!) that would change many of our lives. We spent just over a week at a school in a tiny village 2 hours outside of Lilongwe, the capital city in Malawi, called Dzalanyama. We decorate all of the classrooms there, provided teaching materials, school uniforms, made desks and chairs along with many other bits and pieces. We then travelled down to the south of Malawi and hiked up Mount Mulange for a week, followed by a bus journey over to Zambia for our ‘Rest and Relaxation’ period where we went on safari and then white water rafting down the Zambezi and watching the sun set over Victoria Falls. It really was an amazing month, and many of our friends are still fed up of hearing stories of ‘this one time…in Malawi and Zambia…’!! The experience was so amazing that myself and a few friends who had been out the first time decided we would go out again the following summer, where again we went back to the school where we converted a derelict barn into some dormitories for girls that travel over from Mozambique, allowing them to stay in somewhere safe and continue with their education. Again, then heading over to Zambia for safari, riding on an elephant (!) and a booze/sunset cruise on the Zambezi. So how does meeting my hubby come into this? Well he was also on a World Challenge Expedition at the same school in Dzalanyama! We had sent many emails prior to going out arguing that none of us were happy that they were going to be there while we were, and they didn’t want us there either, but in the end we agreed that both parties would keep themselves to themselves and not interfere with each other’s projects. Did it work? Did it heck!! We all ended up getting on like a house on fire, and spend most nights there chatting until the early hours of the morning. The first night we were there what would become Best Man Tim informed me about my hubby’s ‘A-Z of girlfriends’ where he was trying to have a girlfriend from each letter of the alphabet! Now usually this would put most people off, but my darling brother who was also out there with me proceeded to work through my boyfriends and create my own A-Z! Thanks for that J!! At the time of being out there I was already seeing someone else so we just remained very good friends (however much my brother argues this!!) until this was over several months later. We were so sad to say goodbye to everyone from the other group. We exchanged email addresses so we could talk on MSN (who remembers those good old days!?!) and parted ways to continue with the rest of our trips. Chris (my now hubby) and I then spent the next 7 months talking on MSN and texting most days, and again trying not to be cheesy, but not succeeding, we became best friends. We visited each other (and other people from the trips) several times over the next 7 months, and it was great. 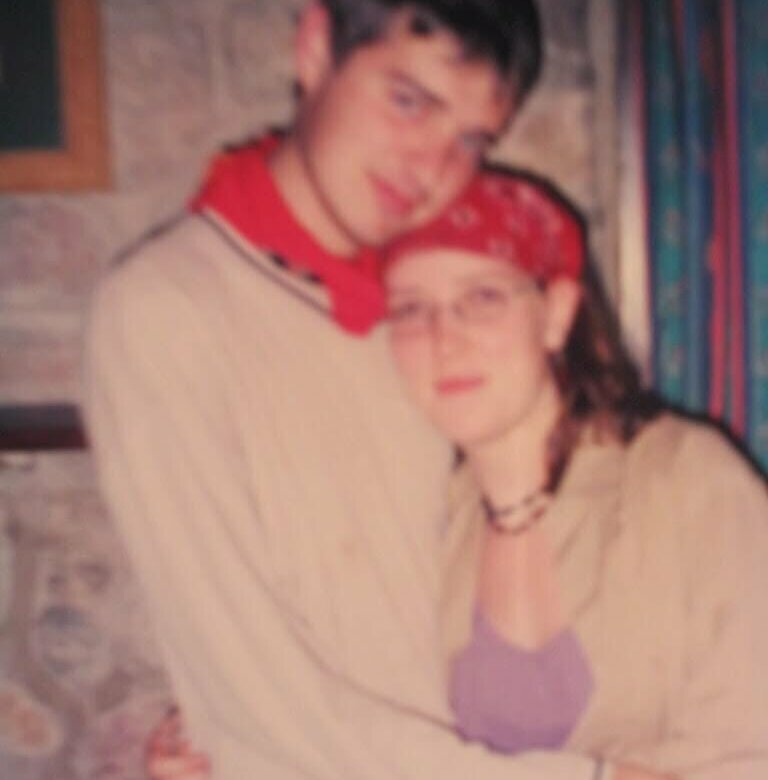 In the February of 2005 I split up with my boyfriend of the time as it was going no where, and a short while later me and Chris got together. After I finished uni, Chris still had a year to go at Warwick, so I moved to Warwick and started work at a psychiatric hospital there, so we saw each other weekly now! What a novelty!! Then it came to Chris finishing uni….he threatened to go work in Germany again, this is something I don’t think I could’ve handled. Thankfully (???) he got offered a job in Bracknell in Berkshire, which is where he has been since. I moved down to Bracknell 6 months later, and finally we were living together!! It had only taken us 5 years! We had gotten engaged quite early on in our relationship, which I think is a good thing, as I often wonder as to whether we may have still been together now if we hadn’t have been. We’d been living together about 21 months by the time we finally decided to set a date for the wedding, and then spent the next 14 months slowly planning our wedding for May 2013. And that is, in a rather large nutshell, our relationship! I’m sure over the course of my blog I will end up filling in a few more details about us, and what has happened to us over the last 9 years. Here’s the first photo we have of us while in Malawi – how young do we look!?. 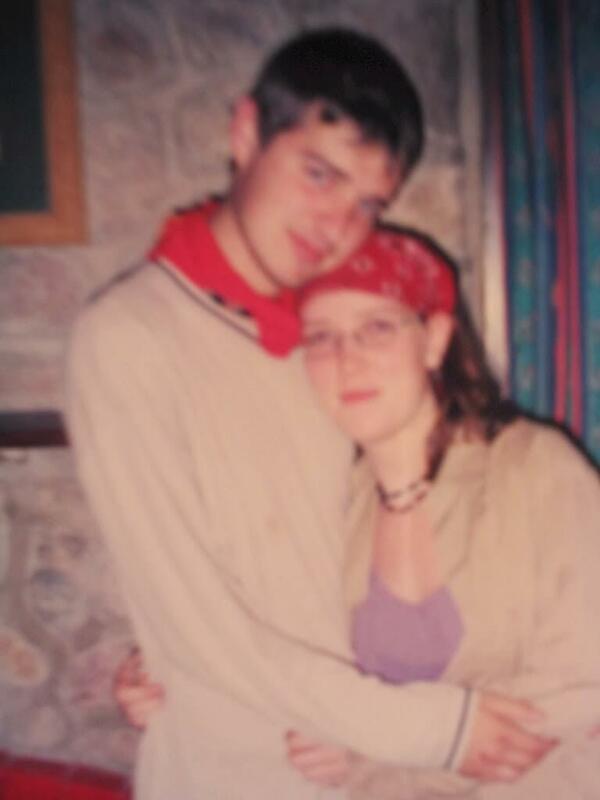 Please excuse the poor quality, but back in 2004 cameras weren’t what they are now!